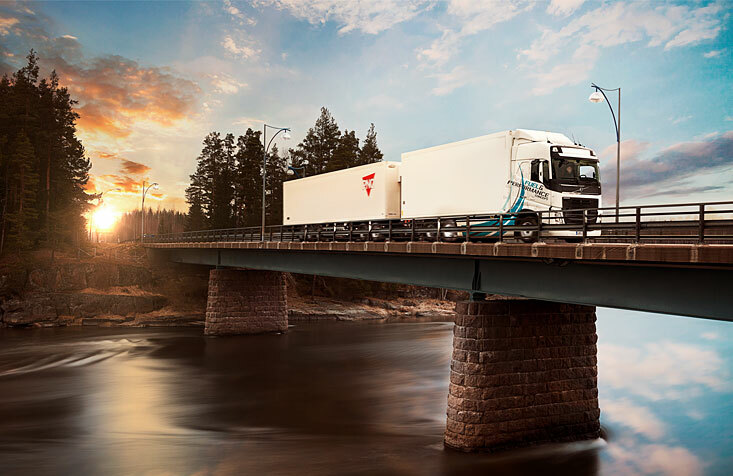 Volvo Finland delivers trucks, services and transport solutions for its customers. As a market leader, the company provides full range of products from mid-size to heavy trucks. The collaboration with Nordic Morning Finland includes marketing concepts and campaigns, continuous content production for marketing and PR including graphic design and layout planning. 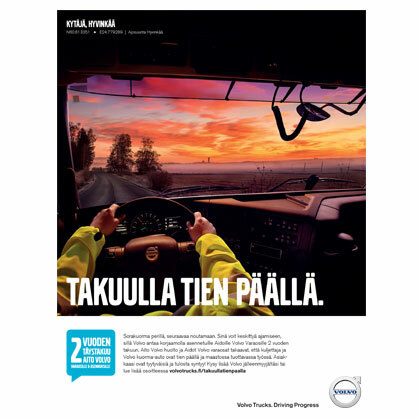 Volvo Trucks is a distinguished brand that is known for commitment to its values, quality, safety and environment. It is of utmost importance that marketing delivers coherent and consistent message in every channel and interaction. Naturally the needs of the customers must be taken into account in every marketing plan and action. Even the most difficult technical detail should be packaged in a customer-friendly way for maximizing results. Conceptual approach is vital for solving the issues successfully. This way, marketing supports sales, lead generation and business goals. 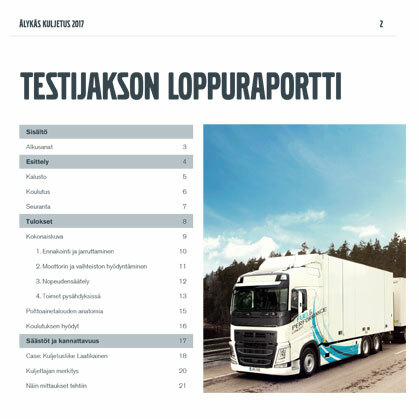 It works well with trucks sales but also with aftermarket services provided by Volvo Trucks centers and private dealers. The holistic approach covers advertising, PR, customer magazine and videos. Nordic Morning is able to provide solution and comprehensive capabilities for these issues. Partnership as a way of working and thorough understanding of transport business are the cornerstones of cooperation. These enable quality and reliability of delivery. Nordic Morning’s team has a versatile skill-set: project management, concept planning, content production and graphic design.